Why Do Babies Cry In Their Sleep ? The most worrisome gesture for the parents of the new born baby is seeing him/her crying in their sleep. Parents indeed have a very tense time trying to figure out what’s really wrong with the baby and get hassled about the same. If you are a parent of sweet little baby, then this article is just for you. 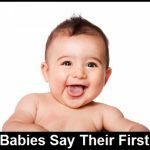 I will help you understand why do babies cry in their sleep so often. For all mothers to be, giving birth is indeed the most beautiful feeling in their lives. Carrying the baby in their womb for nine months and bravely enduring the pain to bring it into this world, nothing can beat the joys and anxieties of motherhood. As soon as the baby is born, not just mother but both the parents of the new-born go crazy looking for the best amenities for their little one and paying attention to each and every gesture or noise that the little one creates. From small yawns to loud cries, everything is special in the initial years of the development of the child. It’s true! There are various types of nightmare or night terrors that can give your baby creeps during a peaceful nap. As compared to adults, babies take around 35 minutes to go in to deep sleep. For a normal adult, it takes somewhere between an average of 45-50 minutes to fall deep asleep. As the babies grow the process of sleeping keeps changing and that is when the sleep transitions come into play. A healthy baby (2-12 months) has two sleep transitions. The first one lasts for approximately 60-90 minutes. When your babies move from the first sleep cycle to the second sleep cycle there are chances that they might wake up half or even completely sometimes. In case where the babies are half awake and half asleep, the wide gap that lies between the two gives birth to nightmare or the creepy night terrors. During this time the baby’s brain is somewhere trying to go back to sleep whereas another part of it is trying to wake up completely. It is during this time that you can see your baby crying, moaning or simply moving in sleep. 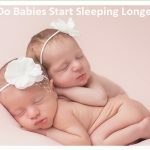 Once the babies enter into the second sleep cycle, the series of confusion creating events seize and the babies are back to a comfortable and sound sleep. We usually confuse these night terrors with a child dreaming about this past life which is not at all true. We hope this scientific explanation will help you understand why this happens. Why do babies cry in their sleep is something that keeps the parents worried all the time and we bet that after reading this you will feel relaxed! With the growing age of the babies, the night terrors increase and after a particular age, say 3 years, they stop and the children resume a normal sleep pattern like adults. So, trust me, you do not need to worry about your babies crying or getting restless during their sleep. It’s all natural! When babies are inside their mother’s womb, their nutrition comes from the food and body of their mother. As soon as they are born, there are several medications and baby supplements and foods to which they are introduced. The main source of nutrition is mainly the mother’s milk but in some cases like premature births, the babies have to be subjected to external oral nutrition as well. In some cases, the baby’s stomach does not easily adapt the external elements and it is this reason that leads to stomach discomfort, bloating or even constipation. New born babies or even infants between the age group 1-2 years are bound to cry during their sleep due to stomach discomfort or mild pain in the abdominal area. Since they cannot express their feelings in words, the only way they can express their pain is through crying. So if you feel that it is not a nightmare or night terror that is making your baby cry then you must walk up to a paediatrician and get your baby checked for a stomach infection. A mere hunger can force your little one to cry during sleep. New born babies have no set pattern of hunger. As they have a very small stomach, they can simply not hold the food for long time and empty it in short intervals. That is why they feel hungry and their hunger pangs can even make them cry during their sleep. Another very simple and straight reason, babies cry and communicate that they need a nappy change! It is not always necessary that the baby has pooped or pee-ed. Sometimes even uncomfortable nappies and diapers cause itching and rashes which make the babies miserable during a peaceful night’s sleep. Keep calm and do not panic. It not only your baby who cries in sleep. Ensure that the baby has a filled stomach before it sleeps. Frequent meals can keep your baby calm and happy. Regularly change the diapers and keep your baby rash free. Do not force the baby to sleep at odd times. Let your baby play and then get tired and sleep. Be with your baby until it falls deep asleep. Cuddling and singing can add to a peaceful sleep. Keep the baby away from loud noises. I hope you had a great time reading my article and are all geared up to tackle the crying of your baby during sleep. Feel free to add your suggestions and feedback! «Next Post When Do Babies Start Smiling ?